Gonzalez reeds are produced in the worlds largest cane plantation in Argentina. The reeds are grown and cultivated naturally using only organic fertilisers and the rich soil at the foot of the Andes. Gonzalez now generate 7 million reeds per year and have players all over the world. 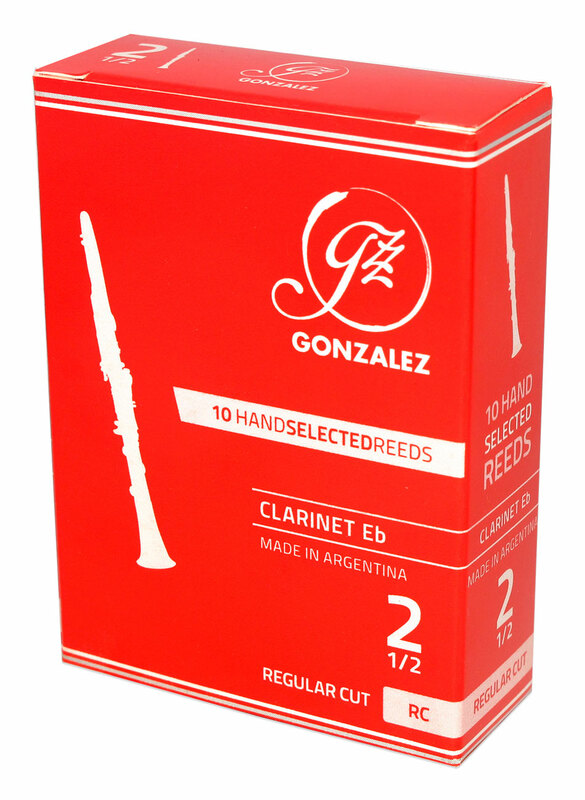 Gonzalez take pride in their tradition and pay particular attention to the consistency of grade and tone in their reeds. The Gonzalez RC reeds have proved to be very popular since we took them on. Priced very sensibly and as a direct competitor to the Rico ‘orange box’ they have proved to be arguably more consistent and better playing than the Rico’s, and at a more affordable price, ideal for educators. The reed itself is quite bright compared to the other Gonzalez equivalents and also unlike it’s ‘brothers’ they come up softer than you would expect. So for example if you use Vandoren Traditional no.2.5 you’d probably want a Gonzalez RC no.2.75 or no.3. Yes, they do 1/4 strengths, but only from 2.5 to 3.5, not either side of that. For those experimenting the Vandoren equivalent to RC = Traditional if you had to pick but it’s fairer and more accurate to say Rico Orange box. 100 per cent natural process used to cultivate reeds. Similar cut to Rico Orange Box. Carefully aged cane ensures higher levels of consistency. I really like these reeds. Can use all of them in the box :).